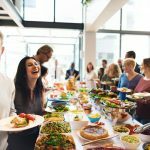 Do you want to make your holiday brunch office party a hit? 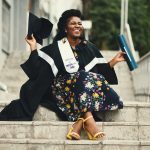 Maybe you have a luncheon event to coordinate at your church or school, or you simply want to have friends over to your home for a weekend breakfast and you want the food to be delicious and memorable. Spare yourself the planning, save yourself some time, and leave the work up to us, your neighborhood breakfast catering service in Germantown. 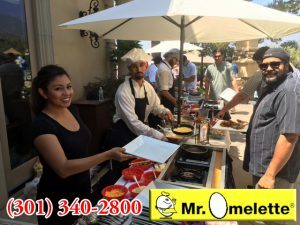 Mr. Omelette Caterers have been catering breakfasts, brunches and lunches for 25 years now, we love what we do! We operate out of Gaithersburg, Maryland and we service a wide radius from there. In Germantown, our breakfast catering service covers the downtown area of the Churchill Town Sector as well as villages such as Gunners Lake Village, Kingsview and Neelsville Villages. Wherever your breakfast or lunch party is, we can be there. We have several party menus to choose from. 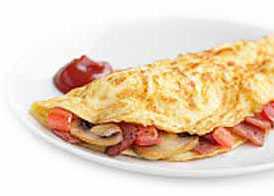 We of course offer catering packages for our fabulous Omelette Parties – handmade omelettes with all of the fixings to suit anyone’s tastes. We also have Pasta Party menus, Crepe Party menus, Cocktail Party and Belgian Waffle menus as well. Plus we offer a myriad of extra items like croissants, mini muffins, veggie platters and more so you can personalize your party’s menu to your guest list! We even have a special Back to School menu for schools who want to welcome their students a tasty welcome back! We have a party menu to fit any kind of breakfast, brunch, or lunch party event you want to have. If it’s an office or corporate event you need to plan, we have some perfect corporate options. These packages include omelettes, breads, danishes and pastries, and beverages for parties of 30-35 or more. We have weekend rates also! The corporate packages include a professional chef and the option for a wait staff. We have a corporate package for your business and budget. As always, additional menu items are available. This will be an office breakfast everyone will want to be present for! You may have a get together planned that is a bit less formal and for that we have the perfect solutions! 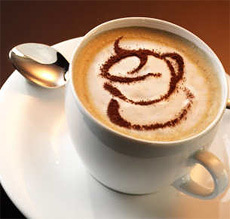 We have an Espresso/Cappuccino bar set up complete with a barista to make Espressos, Cappuccinos, Caffe Lattes and more! This service also includes coffee and tea selections. For an extra charge, you can add small bakery items like biscotti, croissants, etc. Another delectable breakfast service is our Smoothie Bar. You choose the smoothies and our professional staff will blend them up for your guests. Easy and delicious! For a festive feel, we have Carnival Carts! All of your favorite carnival style goodies like popcorn, cotton candy, hot dogs, churros and more! Perfect for birthday parties, school carnivals and more! 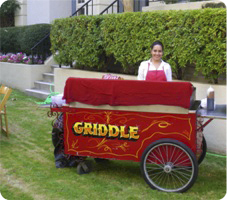 Our staff will set up and operate the carts so you can concentrate on your guests. Keep in mind that we also have rental services for all of your party needs such as tables, chairs, tableware, glassware and linens to make your party planning effortless! If you have a breakfast party, office luncheon or brunch event coming up, give us a call! Everyone at your party will be glad you did!